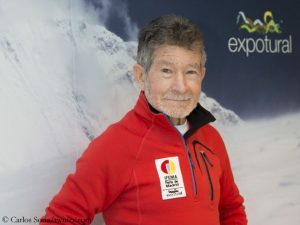 As reported, Alex, along with his Spanish countryman Carlos Rubio, wants to scale Mount Everest in winter, for the first time since 1993 – without bottled oxygen. 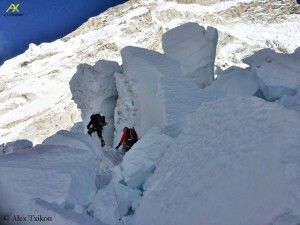 The two climbers and nine Sherpas first have to make their way through the dangerous Icefall. 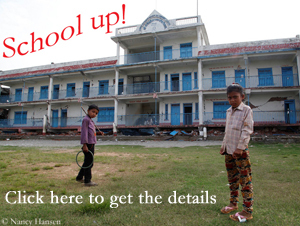 Txikon has estimated this work for up to four weeks. As in Hillary’s days, the Spanish expedition is currently the only one on the highest mountain on earth. What a contrast to spring, when year after year several hundred mountaineers from dozens of commercial expeditions turn the Base Camp into a small tent town! When the clients arrive there at an altitude of 5,300 meters in April, usually the so-called “Icefall Doctors” have already prepared and secured the way through the Icefall. 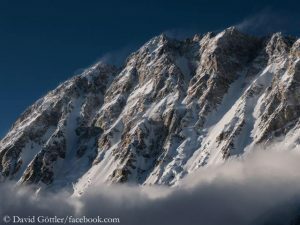 This team of eight Sherpas also ensures that the route remains accessible throughout the climbing season until its end early June. 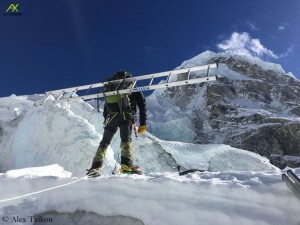 The highly specialized Sherpas are selected and paid by the Sagarmatha Pollution Control Committee (SPCC), an organization that originally only cared about the environmental protection in the National Park around Mount Everest. Since 2000, the SPCC has also been responsible for the route through the Khumbu Icefall on behalf of the Government of Nepal. In spring 2014, 16 Nepalese climbers were killed in an avalanche in the Icefall. 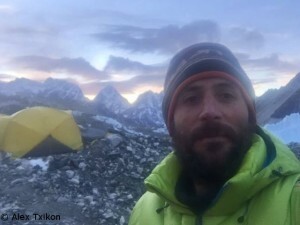 Even if it turns out that Alex Txikon is not able to reach the summit at 8,850 meters this winter – his experience of working as a non-Sherpa as Icefall Doctor is pretty exclusive.